The Harry Potter author claims Amanda Donaldson fraudulently used a business credit card. A former personal assistant of JK Rowling who is accused of fraudulently using the author's credit card saw her employment as almost a "blank cheque" for her benefit, a court has heard. Amanda Donaldson, 35, was suspended and later dismissed in 2017 over alleged unauthorised spending and the taking of Harry Potter merchandise to a total value of £22,236. The author is seeking damages in a civil case brought under her married name Joanne Murray. She alleges Ms Donaldson made transactions including £3179 in retailer Molton Brown, £2139 in card shop Paper Tiger and more than £1619 in Starbucks and Costa coffee shops on a company credit card without authorisation. Ms Donaldson is also accused of fraudulently obtaining £7742 of foreign currency, more than £1500 in cash and Harry Potter merchandise worth £3213. She denies the claims against her. 'The evidence from the pursuer was that it became apparent that the defender saw her employment as almost a blank cheque with which she could benefit. Lawyers for both parties gave their final submissions at Airdrie Sheriff Court on Thursday after evidence in the case was heard in December. 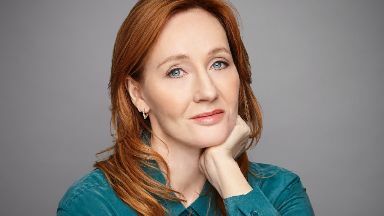 Kirsteen MacDonald, representing Ms Rowling, referred to as the "pursuer", said: "The evidence from the pursuer was that it became apparent that the defender saw her employment as almost a blank cheque with which she could benefit. "It certainly follows in the evidence given by the pursuer to the effect that the defender simply saw her employment as an ability to benefit for herself at the expense of the pursuer." Ms Donaldson was originally accused of fraudulently spending a larger sum in Molton Brown, however it was accepted that some of the money may have been spent legitimately on soap. But Ms MacDonald told the court £3179 was "unauthorised and fraudulent" spending. She said: "The decision of the defender to take over the role of purchasing Molton Brown, I would say was part of an overall fraudulent scheme. "I would suggest that the defender saw an opportunity to exploit an area for her own benefit. "The evidence of the pursuer was very much that this was not part of her role." The court also heard £922 was spent fraudulently at luxury candle and fragrance retailer Jo Malone. Ms Donaldson is also accused of making fraudulent purchases at other shops including Boots, Marks and Spencer, John Lewis and Bibi's Bakery. On the issue of foreign currency, the court heard US dollars, Norwegian kroner and euro ordered for foreign trips went missing. It is also alleged Ms Donaldson fraudulently obtained Harry Potter merchandise which was later returned by her ex-partner. Allana Turley, representing Ms Donaldson, said her client never intended to deceive her employer. She said: "The defender has wholly denied any intention to deceive the pursuer. "Her position has always been that she was authorised to use the card in the way in which she did and she did not set out to deceive the pursuer, or for the pursuer to suffer any loss at the hands of her action." Ms Turley said the purchases at Starbucks and Costa were made over a three-year period and were for either Ms Rowling herself or for business meetings, while she also believed she was authorised to buy herself a coffee if she was out on a business errand for a long time. She told the court the purchases at Molton Brown were for use in the business premises and that Ms Donaldson "used her initiative and took on the role of buying these items for the business". Ms Donaldson also believed purchases from Paper Tiger and other retailers were authorised, Ms Turley said. The lawyer told the court her client denies removing the Harry Potter merchandise and also denies the other claims against her. Sheriff Derek O'Carroll said he would give a written decision on the case in due course.